Are you Buying or selling a home in Utah County? The right agent can make the process much easier–and more profitable. 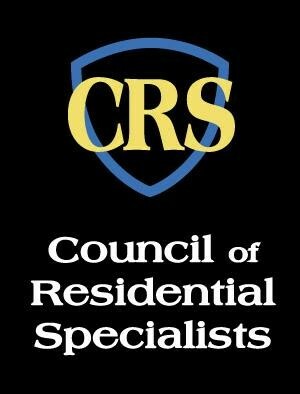 I am a Paul Teasdale and have earned the CRS Designation. I have been selling homes in Utah County since 1995 and have sold over 1,100 homes. Whether you are looking to buy or sell a home, you face significant risks along the way. Financial risks, legal risks, even the risk that your home purchase or sale will fall through. A CRS is trained to minimize those risks by diligently exploring and discussing your options. Hire a Realtor with the Utah Real Estate CRS Designation. About five percent of Realtors in Utah County have earned the Certified Residential Specialist CRS Designation. Paul Teasdale has earned the CRS designation. This designation requires advanced coursework in technology, referrals and production requirements. I loves referrals and pay them on a regular basis. If you have a buyer moving to the beautiful state of Utah call me. My team will take care of your client and keep you in the loop. We pay a 25% referral fee on all CRS referrals. With nearly 39,000 CRS Designees located throughout the country, it’s easy to find just the right professional for the job. More important, they are pre-qualified for your clients. As CRS Designees, they have completed advanced training in residential real estate and have a proven track record of sales transactions required to earn the CRS Designation. Paul Teasdale has earned the Utah Real Estate CRS Designation.